The World Trade Center site, formerly referred to as "Ground Zero" or "the Pile" immediately after the September 11 attacks, is a 14.6-acre (5.9 ha) area in Lower Manhattan in New York City. 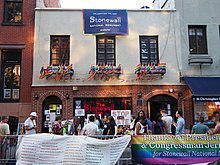 The site is bounded by Vesey Street to the north, the West Side Highway to the west, Liberty Street to the south, and Church Street to the east. The Port Authority owns the site's land. 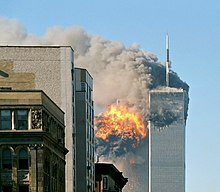 The previous World Trade Center complex stood on the site until it was destroyed in the September 11 attacks. Tribeca, originally written as TriBeCa, is a neighborhood in Lower Manhattan, New York City. Its name is a syllabic abbreviation from "Triangle Below Canal Street". The "triangle", or more accurately, a trapezoid, is bounded by Canal Street, West Street, Broadway, and Chambers Street. More recently, a common marketing tactic has been to extend Tribeca's southern boundary to either Vesey or Murray Streets to increase the appeal of property listings. 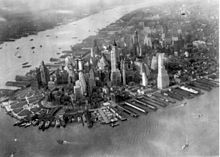 New York City, the most populous city in the United States, is home to over 6,486 completed high-rise buildings of at least 35 meters, of which at least 113 are taller than 600 feet (183 m). The tallest building in New York is One World Trade Center, which rises 1,776 feet (541 m). The 104-story skyscraper also stands as the tallest building in the United States, the tallest building in the Western Hemisphere, and the sixth-tallest building in the world. The second-tallest building in the city is 432 Park Avenue, standing at 1,396 feet (426 m), and the third-tallest is the recently-topped-out 30 Hudson Yards. Not counting its antenna, the 4th-tallest is the 102-story Empire State Building in Midtown Manhattan, which was finished in 1931 and rises to 1,250 feet (381 m), increased to 1,454 feet (443 m) by its antenna. It is the sixth-tallest building in the United States and the 43rd-tallest building in the world. The Skyscraper Museum is an architecture museum located in Battery Park City, Manhattan, New York City and founded in 1996. As the name suggests, the museum focuses on high-rise buildings as "products of technology, objects of design, sites of construction, investments in real estate, and places of work and residence." The Skyscraper Museum also celebrates the architectural heritage of New York and the forces and people who created New York's skyline. Before moving to the current and permanent location in Battery Park City in 2004, the museum was a nomadic institution, holding pop-up exhibitions in four temporary donated spaces around Lower Manhattan since 1996. Washington Street is a north-south street in the New York City borough of Manhattan. It runs in several distinct pieces, from its northernmost end at 14th Street in the Meatpacking District to its southern end at Battery Place in Battery Park City. 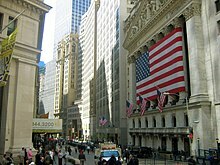 Washington Street is, for most of its length, the westernmost street in lower Manhattan other than West Street. The exceptions are a one-block segment in the West Village where Weehawken Street lies between West and Washington Streets, and in Battery Park City). Zuccotti Park, formerly called Liberty Plaza Park, is a 33,000-square-foot (3,100 m2) publicly accessible park in Lower Manhattan, New York City, located in a privately owned public space (POPS) controlled by Brookfield Properties and Goldman Sachs. The park was created in 1968 by Pittsburgh-based United States Steel, after the property owners negotiated its creation with city officials. It was named Liberty Plaza Park because it was situated beside One Liberty Plaza, which is located between Broadway, Trinity Place, Liberty Street, and Cedar Street. The park's northwest corner is across the street from Four World Trade Center. It has been popular with local tourists and financial workers. The Battery is a 25-acre (10 ha) public park located at the southern tip of Manhattan Island in New York City facing New York Harbor. The park and surrounding area is named for the artillery batteries that were positioned there in the city's early years to protect the settlement behind them. The West Street pedestrian bridges are pedestrian bridges that cross West Street to connect Tribeca and the Financial District of Lower Manhattan with Battery Park City. The bridges were built to provide alternatives to crossing the busy street. 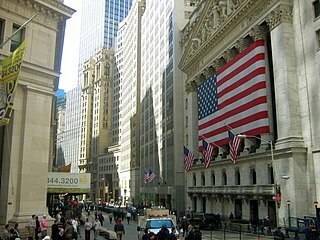 Prior to the September 11th attacks, there were a total of three bridges at these locations: Chambers Street, Vesey Street and Liberty Street. The Vesey Street and Liberty Street bridges connected the former World Trade Center complex directly to the World Financial Center. 125 Greenwich Street is a residential supertall skyscraper being built in the Financial District of New York City, designed by architect Rafael Viñoly. It is at 130 Liberty Street. Apartment interiors are by British design duo March & White.